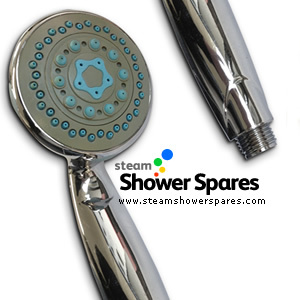 Multi function hand shower. Chrome finish with standard threaded end for hose connection. The head can be rotated to provide several different water spray types.